Millions of Angolans are voting for their first new president in 38 years. Wednesday’s election will see President Jose Eduardo dos Santos quit after nearly four decades in power, with the outgoing leader praised by some of leading the country to recovery after the end of its civil war in 2002, and accused by others of authoritarianism. Polls opened at 06:00 GMT and will close at 17:00 GMT. First results are expected on Thursday. About 9.3 million Angolans are registered to vote for the 220-member National Assembly, and the winning party – five are vying to lead the country – will then select the president. Defence Minister Joao Lourenco, the ruling party candidate, is widely expected to win Wednesday’s vote, though it remained uncertain whether his party, facing discontent over the state of the economy and allegations of corruption, would secure the two-thirds majority needed to govern alone. The ruling MPLA won 72 percent of the vote at the last election in 2012. Dos Santos is expected to remain party leader. Lourenco, whose association with 74-year-old outgoing president dates to the war against Portuguese colonial rule, has pledged to fight corruption if elected. Questions remain about how much control Lourenco would have if he wins the presidency, given that dos Santos will continue as head of the MPLA and have potentially sweeping powers over decision-making. Members of dos Santos’ family hold top jobs in the country, with his daughter Isabel heading national oil producer Sonangol, and his son Jose Filomeno in charge of the state investment fund. Al Jazeera applied for visas to be able to cover the elections but these were not granted. Lourenco said on Tuesday, the eve of the election, that he wanted to lead an “economic miracle” and would consider seeking help from the World Bank or the International Monetary Fund. In a rare press conference, Lourenco prioritised the economy which, after years of rapid growth, contracted 3.6 percent last year as Africa’s second-largest oil producer was hit by a fall in crude prices. “I think I will have all the power. I only wouldn’t have all the power if there were two presidents of the country, which is not the case,” Lourenco told foreign media in Luanda. Isaias Samakuva, 71, took over UNITA after longtime rebel leader Jonas Savimbi was killed in 2002, a death that marked the beginning of the end of a 27-year civil war. Samakuva, who also contested the last election, has promised to tackle corruption and high unemployment, which officially stands at 20 percent but observers say is much higher. 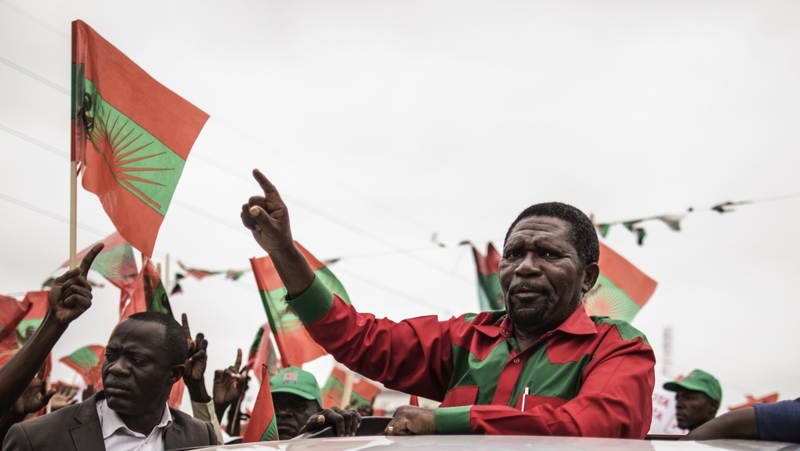 Angolan critics have alleged that the ruling party has unfairly used state machinery before the election, noting that most campaign coverage on radio and television stations has focused on the campaign of the MPLA.